For the ladies across the pond, disappointed that Amerimark doesn't ship to you, here's my UK version of yesterday's post- all shoes under £50, from JD Williams. Like Amerimark, these shoes are also built to be as comfortable as they are cute. They had some really fantastic shoes that were just over my £50 budget so do check the site (especially the court shoes section) for more drool-worthy shoes. Thank you to Landgirl 1980 for inspiring this post! You can't go wrong with a simple pair of black t strap pumps. From the 20's-60's, they go with everything! 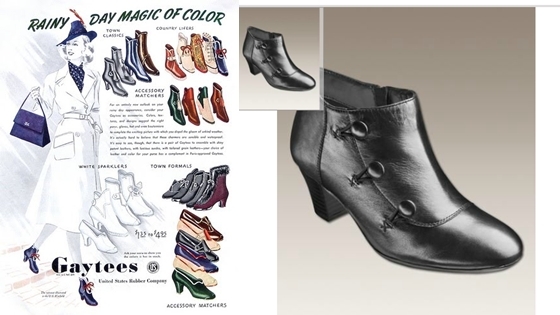 The original vintage shoe is from Ginger Root Vintage. 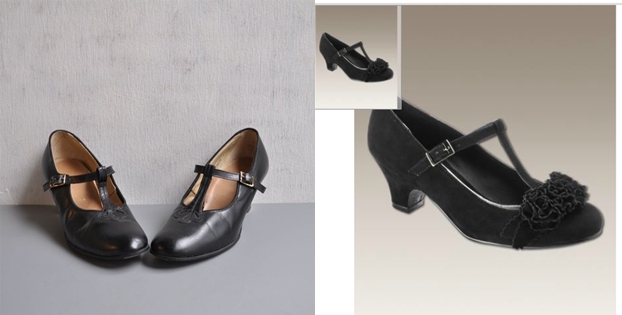 Our modern shoe has a pretty frilled embellishment, comfortable low heel and silver trim along the edges. 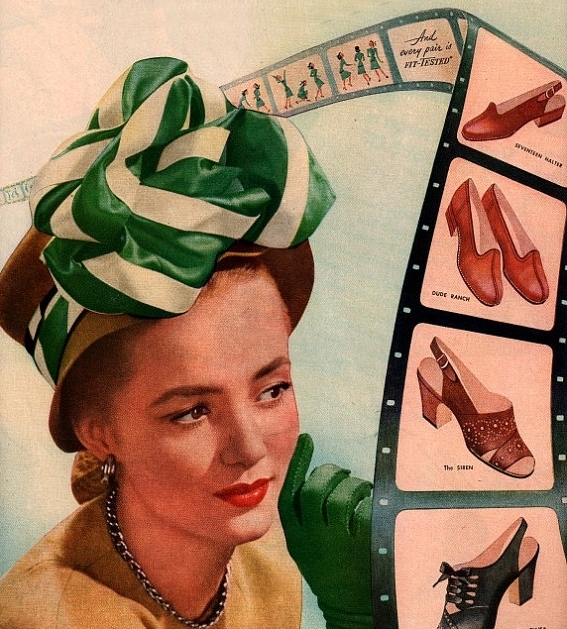 This original 1940's shoe ad, via American Duchess features mary jane pumps with a wide strap and large buckle, trimmed in what appears to be alligator skin. The modern version, without lizard skin but just as versatile comes in black and tan. a strappy pump with a stacked heel. 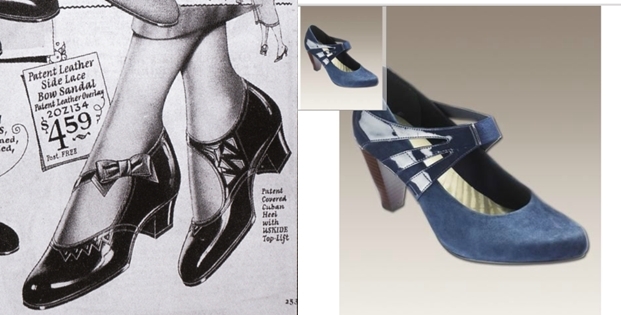 The 1920's shoe has a lower heel and thinner strap. 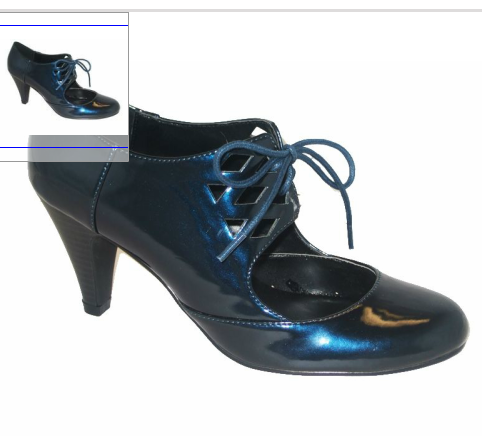 The modern shoe comes in black patent and navy. 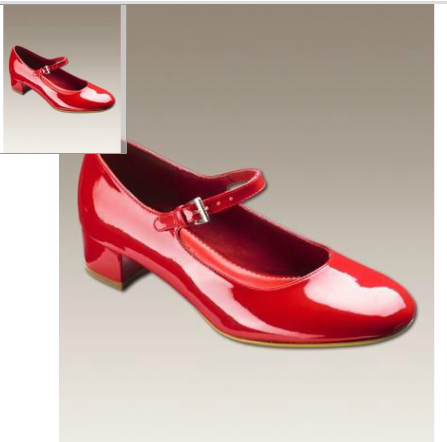 Our modern day shoe has the same shape with a slightly chunkier heel and red patent finish. So cute! 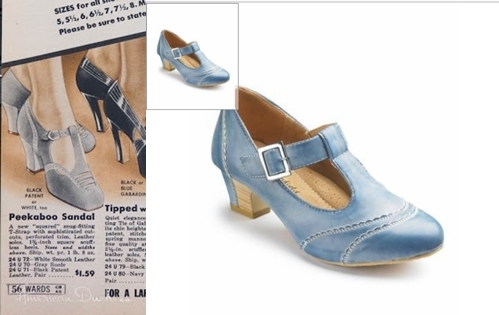 This original late 30's shoe ad, also from American Duchess has a higher heel than the modern version, with a squared toe. 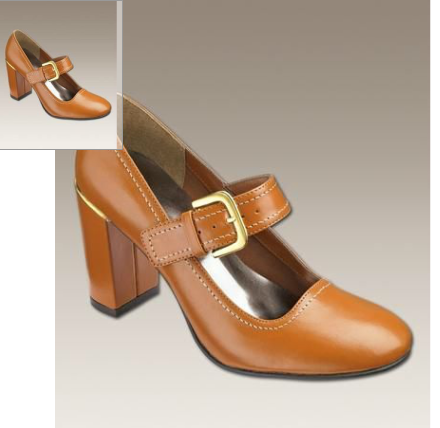 The modern shoe still features adorable trim and comes in light blue, red, tan and camel. 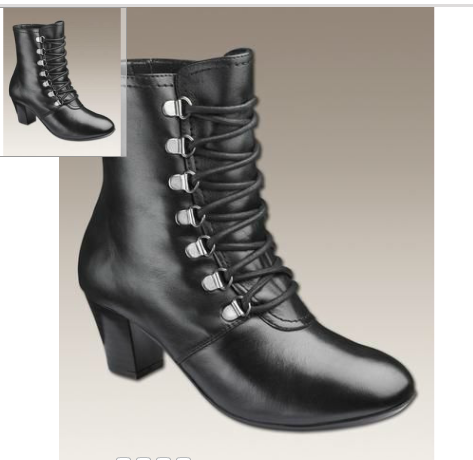 An oxford boot is a must have for winter. Our modern version is very simple but you can take a hint from the vintage advertisement (via My Vintage Vogue) and embellish it with pretty laces, tassels, fringe, etc. 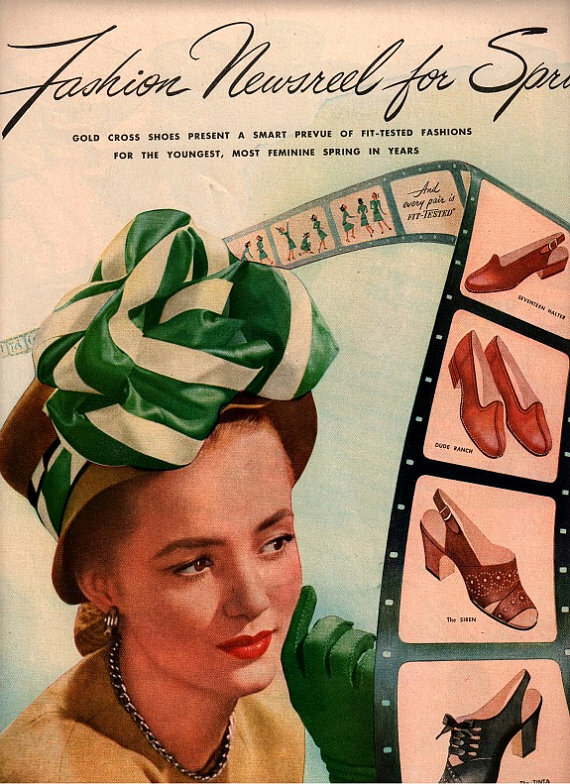 Movie stars like Grace Kelly and Audrey Hepburn brought the simple loafer or flat shoe to a new level in the 50's. 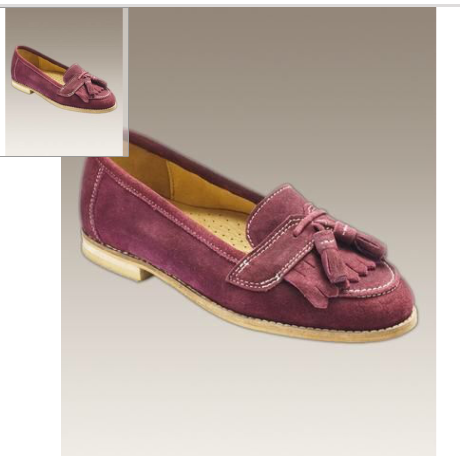 These adorable fringe loafers in black tan and wine (pictured) are just the thing for a long walk or bike ride. The tassels add a classic touch. 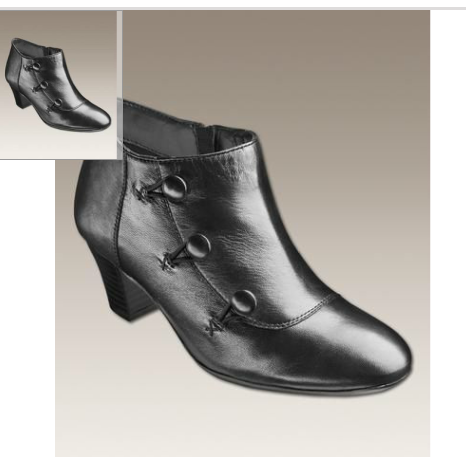 A great little boot for winter wear, with a stacked low heel and side button closure. 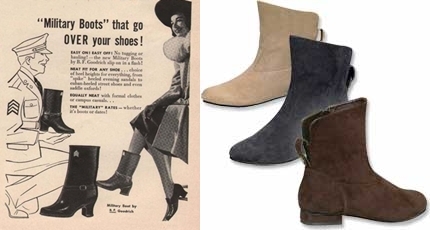 This classic boot is very reminiscent of some of the styles in this 1930's Gaytees ad. I would be very tempted to trim them in faux fur, wouldn't you? 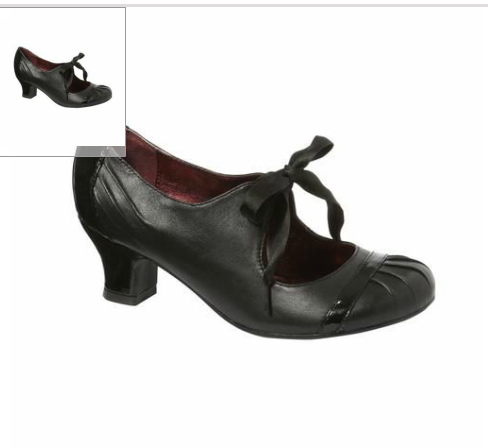 What a great find in this strappy 20's style pump. Tie it up with a ribbon instead of a thin lacing and you'll have a gorgeous shoe, very similar to the one in the advertisement. 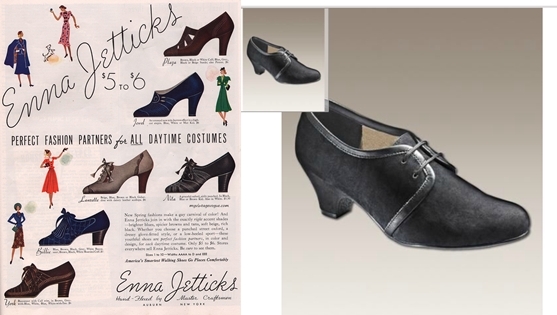 The original 1920's shoe featured on shoeblog.com at $200 have a pointier toe than the modern version but the all black is more practical than the original's colorful lame inserts. You must have spent hours to find all those shoes!!! 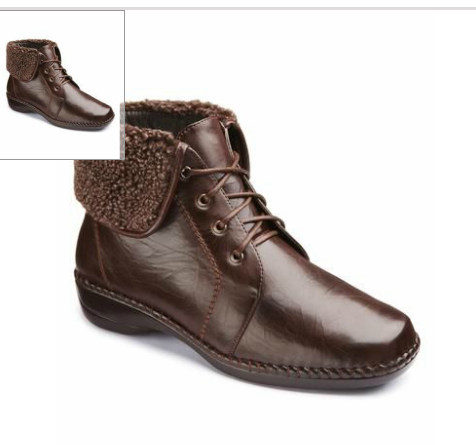 It's quite easy to find good looking summer shoes, but harder for winter shoes. We appreciate all your hard work. 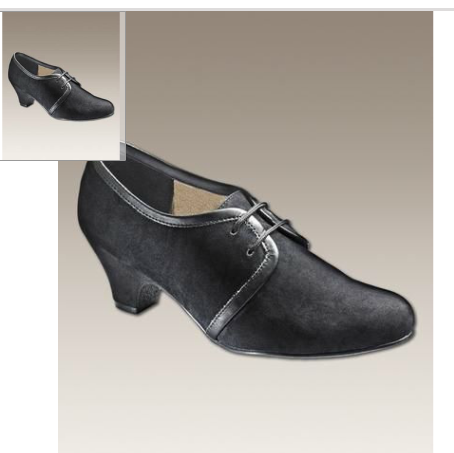 I especially like the Manfield T-Bar Pump, but the last two retro '20s style shoes are very impressive looking. 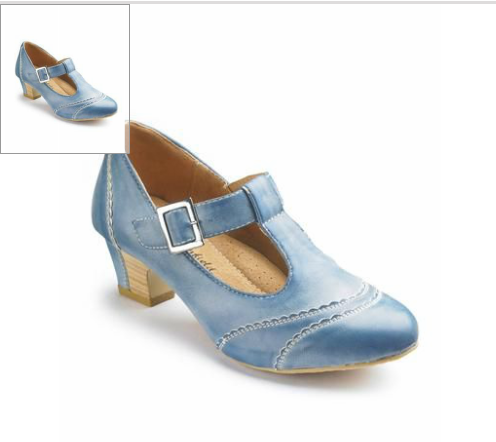 The Clarks Navy stacked heel is divine! That is so, so thoroughly thoughtful of you! The Canadian dollar doesn't hold up too well in the face of the Pound, but every now and then I do shop across the pond, and appreciate knowing about even more vintage appropriate fashion sources when I do. 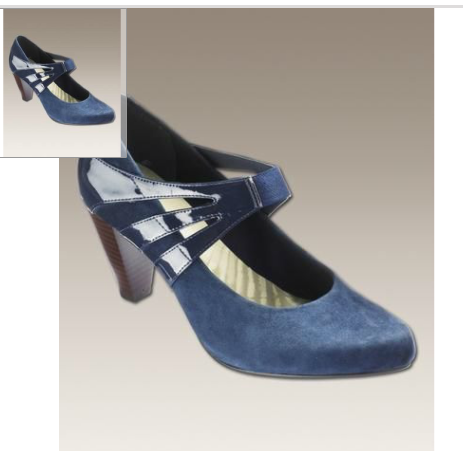 The ribbon tied shoes are on my wishlist! They are all darling! Any idea if they deliver to the US? I can't figure out the website. Also, any suggestions on their sizing and how to convert to American?